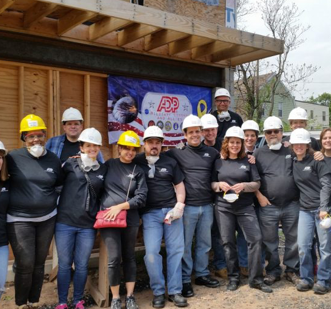 On a mission for veterans and spouses. To give Veterans and military spouses a career they can be proud of. 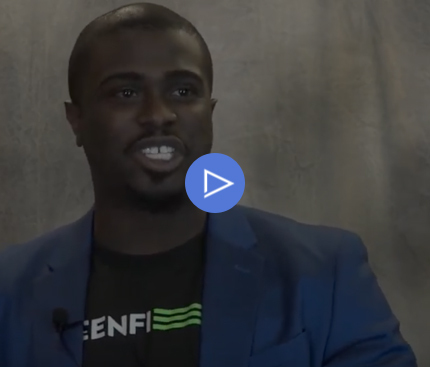 Whether it’s solving business challenges for our clients, keeping our data secure, or adding to our growing client list, you’ll know you’re making an impact here. Work closely with other Veterans on a daily basis. Be assigned to a Veteran mentor who’ll help you with your transition. 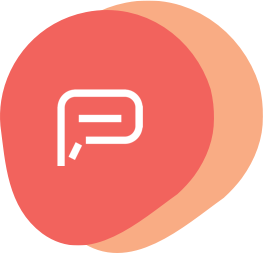 Enjoy our collaborative and fast-paced team-centric atmosphere. Develop a new career path and be supported by your manager every step of the way. Participate in our world-class Military Business Resource Group – Military Strong & Allies – where you can continue to serve in your community. Be part of an organization that is committed to recruiting, training and onboarding Veterans. 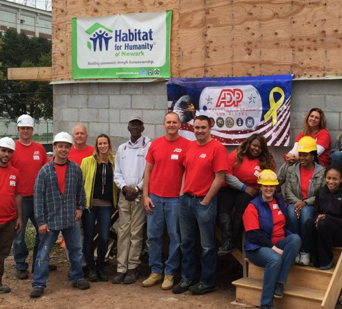 Read more about how ADP’s Veterans Initiative Program Hits its Stride. 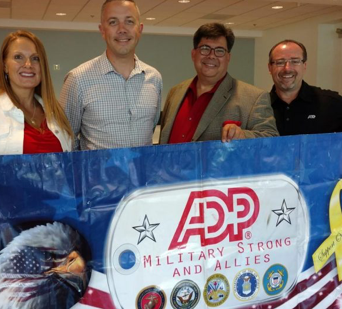 Why do veterans work at ADP? Our values are your values: integrity, service and innovation. Volunteering at Memorial Day ceremonies across the nation. 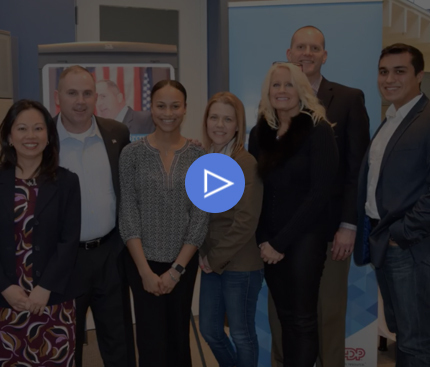 Partnering with Hiring Our Heroes, the Veteran Jobs Mission Coalition, the Military Spouse Employment Partnership program, the USO RP/6, the Employer Support of the Guard and Reserve, and Armed Forces Covenant (UK). Volunteering at Transition Assistance Program (TAP) offices across the nation with resume preparation and interview coaching. Helping our clients – Client Service and Implementation. Keeping our clients and their information safe – Cybersecurity. Taking care of our own associates – Human Resources. 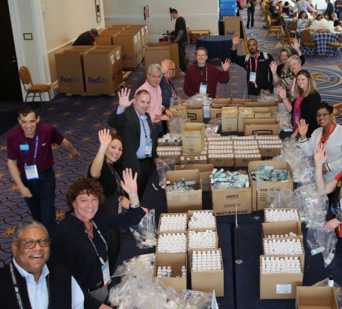 Selling industry-leading products to new ADP clients – Sales. Developing innovative solutions to complex problems – Technology. See what it was like for others to transition to ADP. 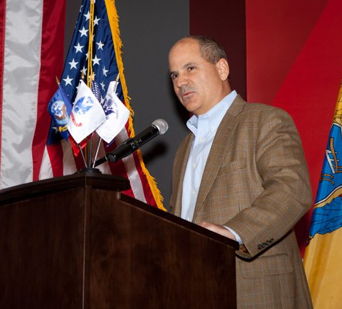 Veterans need the opportunity to show business leaders that they can do the hard work in the corporate world. ADP understands this and trains us for our roles and provides the support we need to feel confident about the job we’re doing. Civilian life is much different than military life, and we Veterans approach it with a unique set of skills—leadership, integrity, grace under pressure. All of these attributes translate nicely to the work I am doing today at ADP. I am to delighted to have found a job at ADP, a company that understands that being a military spouse requires balancing a demanding lifestyle and career aspirations. 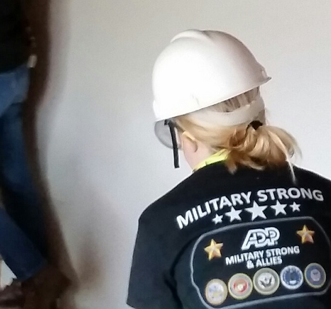 ADP affords me the ability to manage my career and be the military spouse and mother that my family needs. ADP has been the best opportunity I could ask for coming out of my military experience. They are diverse and understanding, and give you much freedom to speak and be heard. There is always an opportunity to voice an idea on how to help further job efficiency in day-to-day operations. This job is amazing! 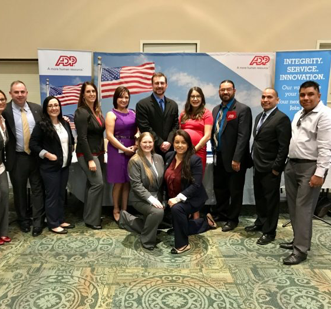 Expanding upon my leadership skills was my greatest opportunity when transitioning from the military into ADP. No one is a born leader, but in the military when you tell someone to do something they do it. In the corporate world you need to have multiple leadership tools and techniques to pull from when leading people. 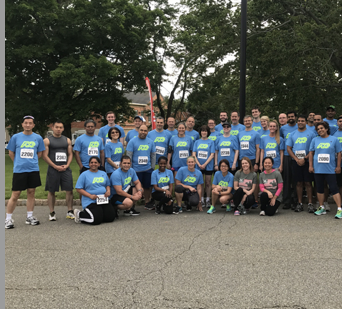 I choose ADP every day because of the continued support I receive in developing my skills as a leader in the organization. As an ADP associate, I’m given the opportunity to thrive and grow. Every day, I get to come to work and perform at the top of my game! That’s something I really pride myself on – and enjoy. Hello, heroes! 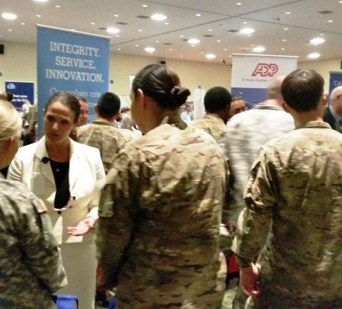 Our talent scouts meeting military members at a Fort Bliss hiring event. 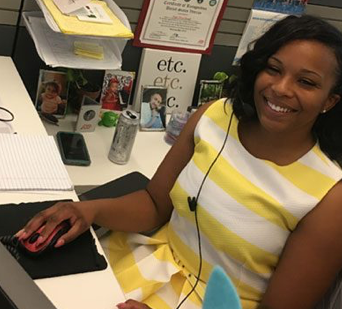 Keya, ADP Tech Support Analyst and U.S. Army Veteran, in our Augusta office. 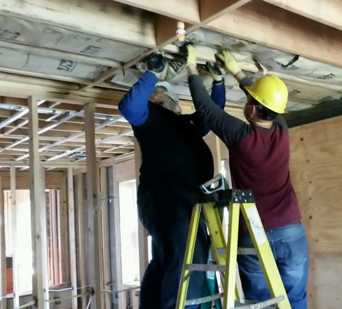 Teamwork gets it done in business AND for Habitat for Humanity in Newark! Team Alpharetta at our Windward branch office. 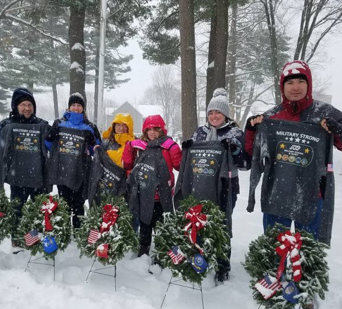 Meet the members who started the BRG Military Strong Chapter. 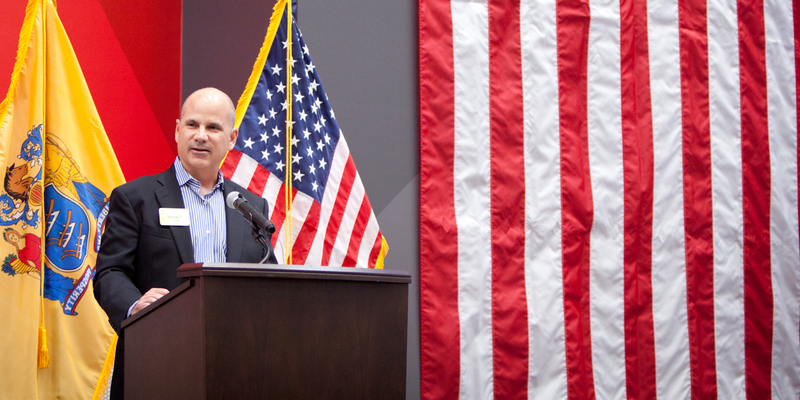 ADP President and CEO Carlos Rodriguez speaks at the ADP Veterans Day Recognition Breakfast November 11, 2015.